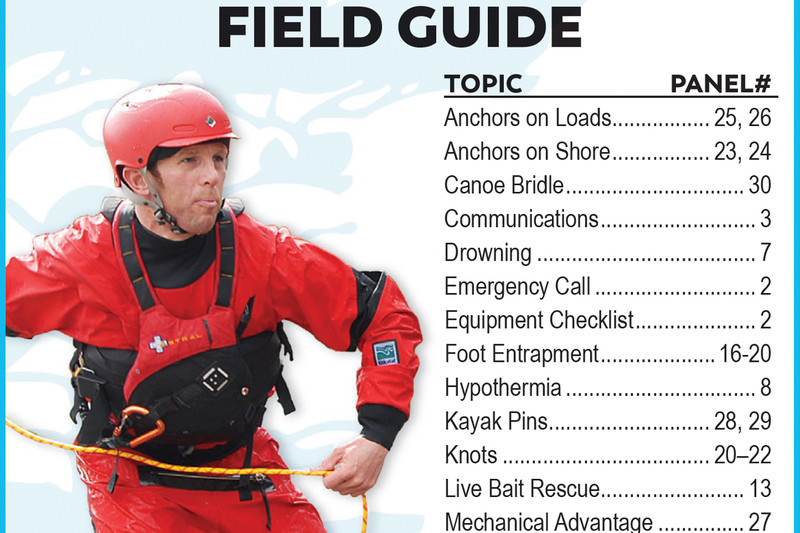 Get swiftwater rescue training and certification for your group. 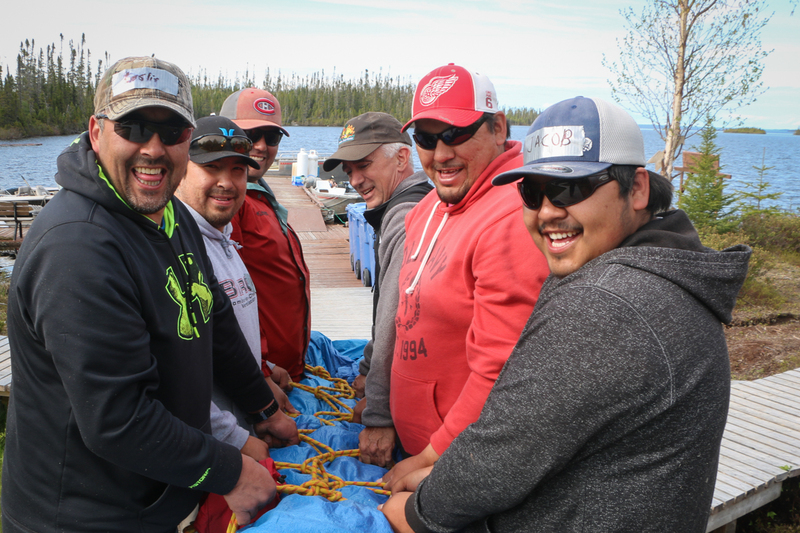 Learn through professional instruction specific to conservation officers, scientists, fisheries staff, and those who work in natural resource management around rivers. Gain knowledge, skills, and confidence through hands-on practice. Our instructors can travel to you or we can host you at one of our training sites. The course will be customized to meet the needs of your organization and the type of fieldwork that you do. These courses are for groups. As an individual, you can join a 2-day Whitewater Rescue (WWR) or 4-day Whitewater Rescue Technician (WRT) course. What’s included in a group course? While these courses have standardized curriculums, we’ll work with you to customize the training and delivery according to your group’s needs. Instructors choose training sites and design practice drills that are relevant to your group’s type of work and available resources. 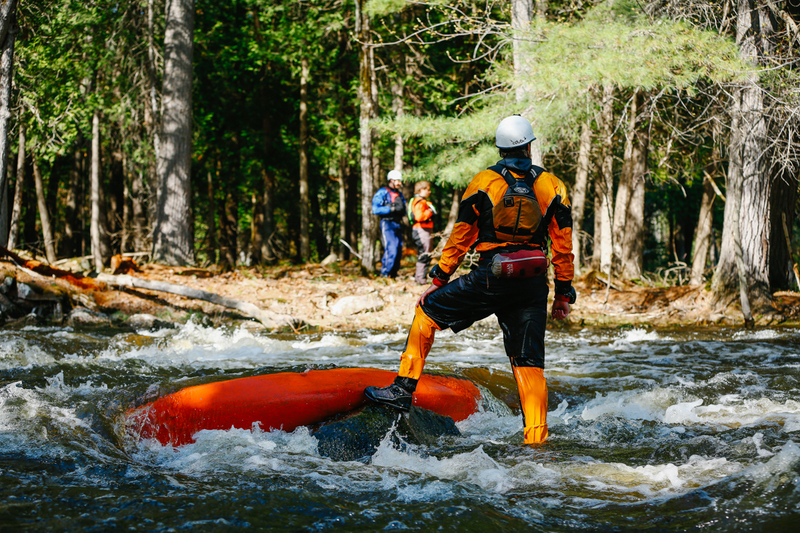 See our group training page for more on information on customizing courses and combining swiftwater rescue courses with other training. Certification is valid for three years from the date of issue. Candidates are recertified by re-taking the 2-day course. An option for organizations seeking more frequent refreshers is an annual 1-day recertification. Video: do you know the safe way to carry a throw bag?